People all around the world can face similar problems and threats. They can obviously differ in their extent and there are always some particularities depending on the region and its context. However, it can be helpful to meet people from other countries who are trying to achieve similar goals, talk to them and share experience. 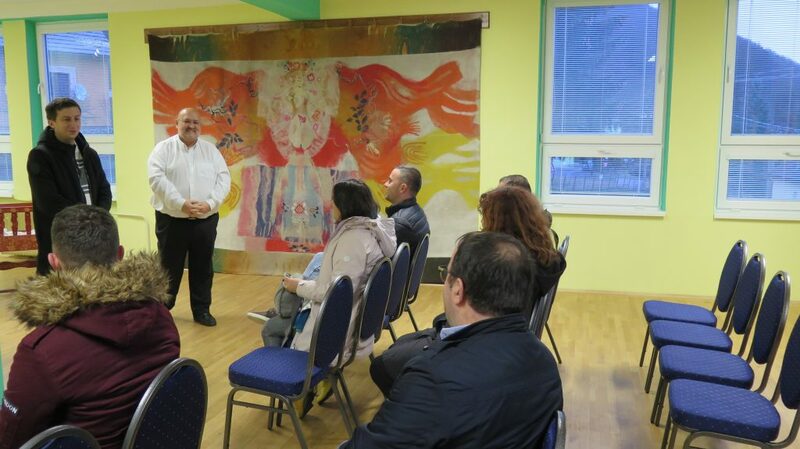 Therefore, a study visit of 6 community members, activists and CSOs workers to Slovakia was organized towards the end of year 2018. They traveled to Slovakia to meet local activists and organizations that fight for environment protection and its preservation for people and future generations. 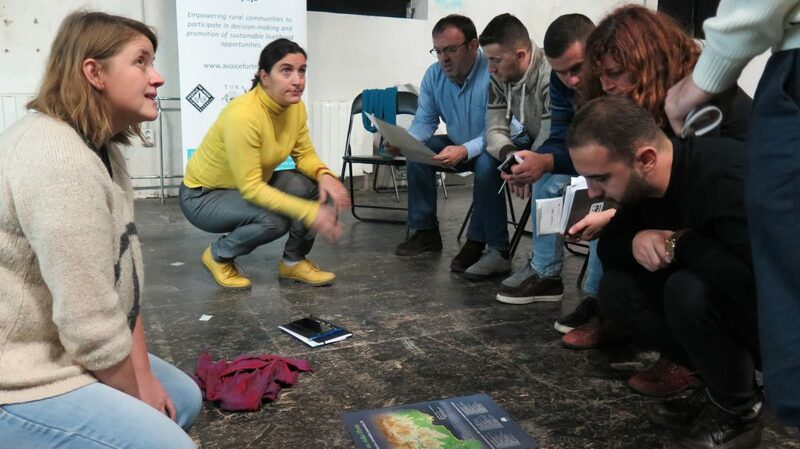 The aim of the visit was to introduce local initiatives, their stories, results and tools they use to reach them. We traveled to Banska Bystrica in central Slovakia where we met an activist from Slatinka Initiative who told us about how the community has been fighting hydro power plants´constructions since the 90s. We also met a lawyer from Via Iuris – organization that provides activists and CSOs with legal counseling in order to support them and help them with their efforts. It is extremely important as one needs to base their fight on local and international law and conventions. 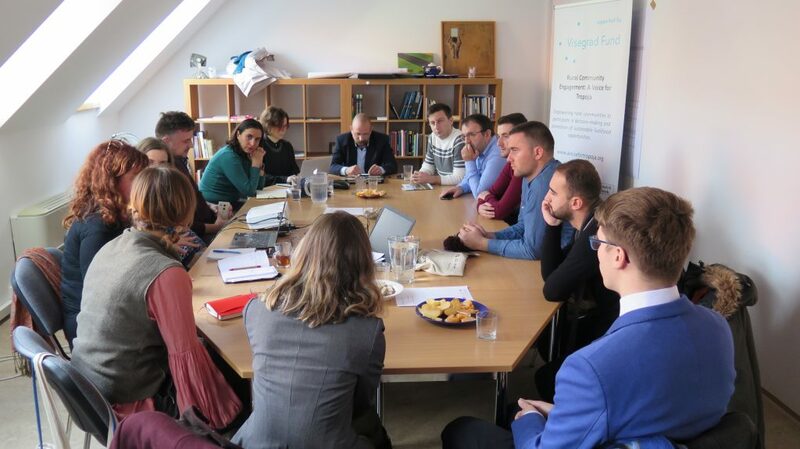 Many of the activists work as volunteers and do not have time or capacities to keep track of all legal acts related the respective issue, lawyers can be very helpful – as we could see by various publicly known environment-related cases in Slovakia. A local city council member was also present – she talked about her experience with dealing with hydropower construction (and efforts against it) on a city council level. Study visit participants also visited Jalna village and talked to a local community member about the situation there. On the way there they had a chance to have a quick look at some of the hydro power plants constructed on Hron river. Another meeting took place in Bratislava. 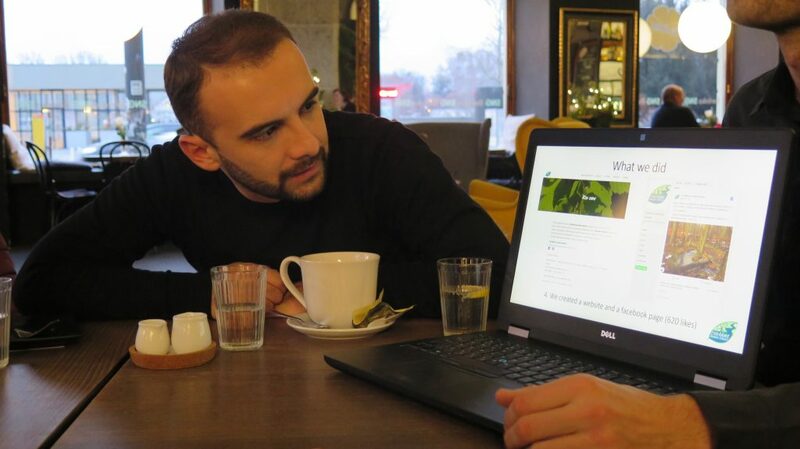 Participants met with an activist from Chráňme povodie Vydrice Initiative. They try to enforce creation of natural reservation in order to protect Vydrica river and its surroundings in Western Slovakia. He talked about their campaign, meetings with city council members or creating a video featuring famous Slovak artists talking about the importance of nature preservation. They then talked about the situation in Albania and their experience, problems and efforts. Sharing of information should not be one sided process. We can learn from each other and listening to people from other countries can always bring other ideas and perspectives for both sides. 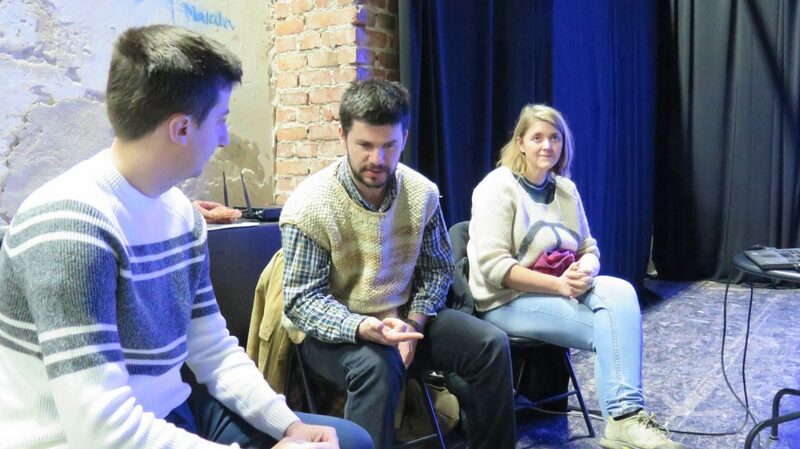 At the same time a mini-conference took place in Bratislava. 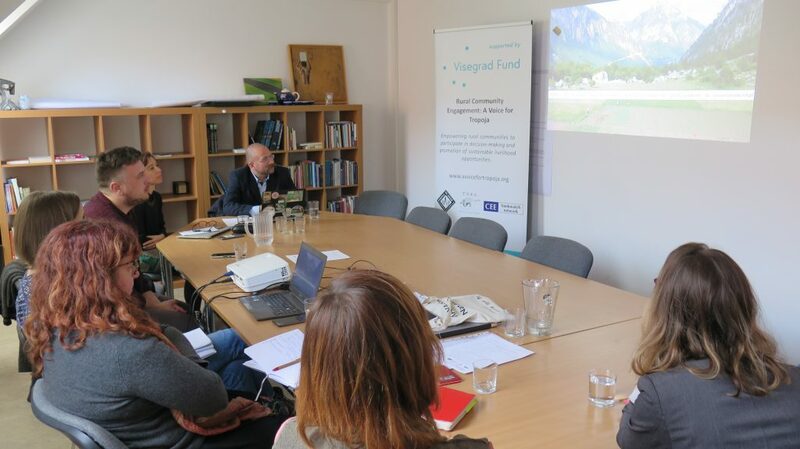 Representatives of partner organizations met to talk about the project activities conducted so far, about the current situation in the region and to discuss the model of working directly with affected communities and its possible replication in other Balkan or V4 regions. 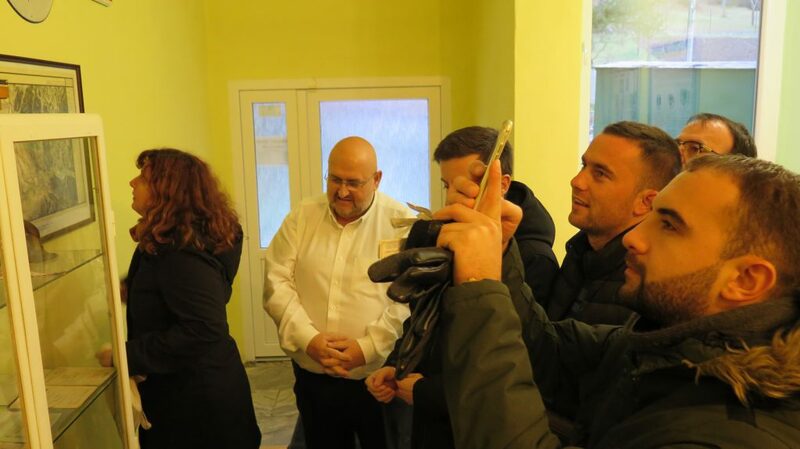 Participants of the study visit were also invited to the common discussion in order to bring their points of view and thoughts about the project and development in Albania. One of the important things discussed was the need to create sustainable development opportunities that would attract young people and would not force them to look for a better future abroad. As mentioned before, every country or region can be specific and not everything that Slovak activists do can be applicable in Albania and vice versa. Nevertheless, such meetings can be inspiring and can bring some new ideas or perceptions that both locals and visitors can use in the future. It is also good to see that you are not alone in your fight, that people have been experiencing similar problems and difficulties for a long time – sometimes decades. That may not be very motivating at a first sight but it can help create realistic expectations that can help the communities to plan their activities and keep their motivation alive.